Atop Haleakalā’s summit, 10,023 feet above sea level, awaits an incredible array of colors and natural wonder at sunrise and sunset. The summit is an ideal place to enjoy the motion of planetary bodies in step with Earth’s rotation and orbit. This area is free of most light at night and is high enough above sea level that there isn’t a lot of environmental pollution. Since Haleakalā National Park is open 24 hours a day, 365 days a year, visitors have plenty of time to see both the sunrise and sunset. But how do you opt for which one to go see? To see the sunrise, visitors usually need to wake up as early as 3:00 a.m. in order to make the drive to the summit, find a spot in the parking lot and make your way to a viewing location. The sunrise does not typically start until about 5:40 a.m. in the summer and around 6:30 a.m. in the winter, so prepare for a fair amount of waiting before the sun presents itself. Many people arriving on Maui are jetlagged because of the time change. So going early on in your trip may be an ideal time to see the sunrise. Sunset occurs 10 to 12 hours after sunrise depending on the season. If you just arrived in Hawaii, time change might make it hard to stay awake past dinnertime. To avoid that jetlagged feeling when watching the sunset, save the experience for later in the week during your trip to Maui. 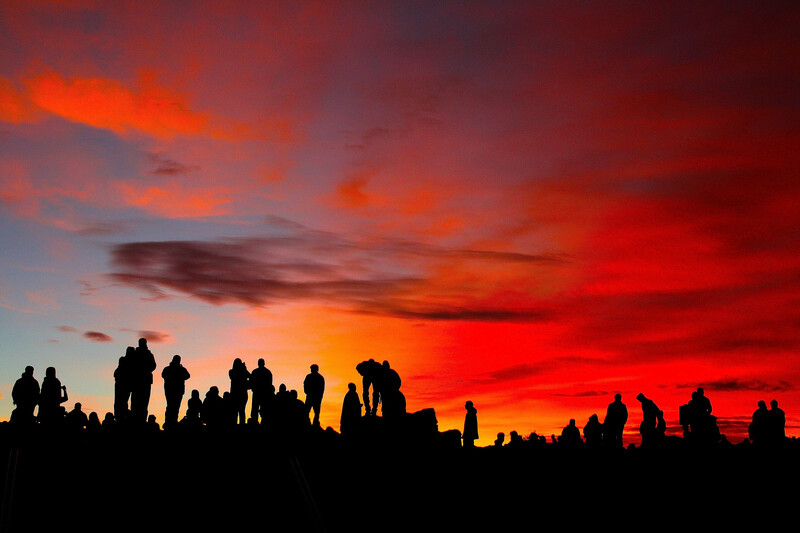 The National Park Service began requiring online reservations for all entering the park to see the sunrise due to limited parking and to ensure the environmental and cultural resources at Haleakalā are protected from overcrowding. Due to the popularity of sunrise viewing, vehicle reservations can sell out several days in advance, so you will need to plan ahead. If you can not get a reservation for the day you would like to go, guided tours are offered that include your reservation and entrance fee into the park. This can be a good option if you prefer to sit back and enjoy the views during the trip to and from the summit. This ride there and back offers stunning views. There is no reservation needed to see the sunset, though an entrance fee is still required. During the sunrise, National Park rangers will sometimes lead groups in traditional Hawaiian greetings to welcome the sun. If you’re looking for an authentic Hawaiian experience to start your day, watching the sunrise may be a good experience for you. If you prefer to watch the sun’s movements in silence, go at sunset – park rangers are not typically present to lead visitors in native Hawaiian call, and the crowds are typically much smaller. Weather is unpredictable atop Haleakalā Mountain. Both sunrise and sunset can be clear or cloudy, though both lend themselves to beautiful sights. When at the summit, your position above the clouds provides streaks of colors foreshadowing the rise of the sun in the morning. In the evening, you’ll be treated to another display of colorful hues well beyond the sun’s disappearance below the horizon. Due to the elevation and atmosphere, the summit is very cold before dawn and after dusk, and temperatures frequently drop below freezing accompanied by windy and wet weather. Bring warm blankets and chairs, and don’t forget to dress appropriately! Many visitors opt for a sunrise bike tour immediately after the sunrise, which takes cyclists down the mountain to various area stops. The trail may lead through Upcountry, a picturesque region of Maui scattered with little towns featuring delicious food, wineries, coffee, and more. You can read more about the food and fun available in Upcountry Maui on the Skyline site here, including swinging through the landscape on one of the first ziplines in the country. Skyline also offers a popular Sunrise Bike ‘n Zip tour, which leads visitors through a series of switchbacks to the start of an adventurous zipline course. Watching the sunset is a prime activity for people who want to view some of the stars that show up after dusk. The top of the mountain is also home to the Haleakalā Observatory, part of the Maui Space Surveillance Complex through which many government and academic programs have observed planetary bodies throughout the years. While the Surveillance Complex is closed to the public, you can bet that the presence of avant-garde observation technology on the same mountain means you’ll get treated to an amazing starscape at night. 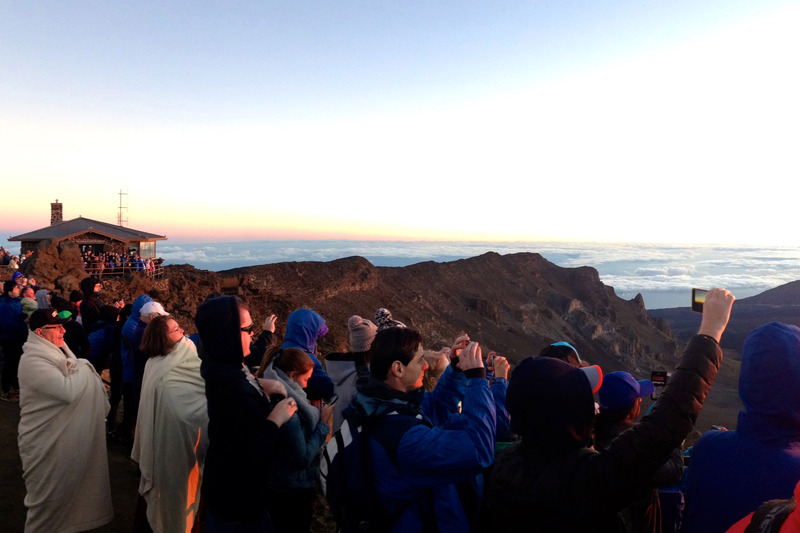 In summary, sunrise and sunset atop Haleakalā are both great options. Whichever time of day fits your preferences better will surely be a memorable experience. About the Author: Skyline Hawai’i offers exceptional guided tours of Haleakalā National Park on Maui. For more information or to make your reservation today, visit: www.skylinehawaii.com.